Egypt’s Coptic Orthodox Pope Tawadros II has inaugurated the first Coptic Orthodox church in Kyoto Japan, state-run MENA news agency reported on Sunday. The church was established in 2016 to serve Egyptian, Ethiopian and Eritrean Coptic communities living in the East Asian country. The inauguration was attended by a number of Coptic bishops including Daniel the bishop of Sydney in Australia in addition to Egyptian Ambassador to Japan Ismail Khairat. The pope praised the history and culture of the Japanese people. He also thanked the Japanese government and Egypt’s ambassador to Japan for their efforts in establishing the new church. 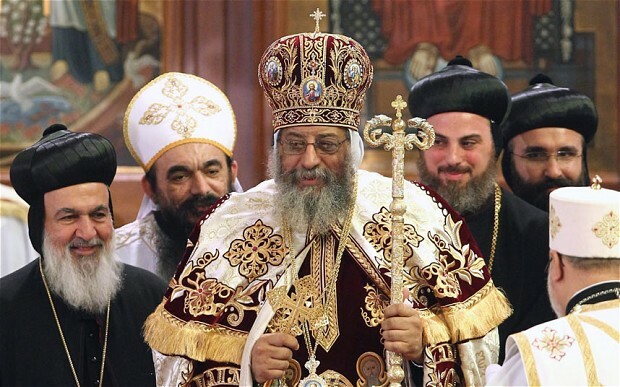 “The Church doesn’t know geographical borders; we will look after Copts anywhere in the world,” Pope Tawadros II said. He added that opening the church in Japan is considered proof that love and religion don’t know nationalities or borders. Pope Tawadros said that the Coptic Church offers love everywhere and opens its arms to all people, no matter their color, race or nationality. After completing the trip to Japan, the pope is set to visit several cities in Australia and meet with Australian officials. The pope is the head of the Coptic Orthodox Church, which has an estimated 25 million members worldwide.